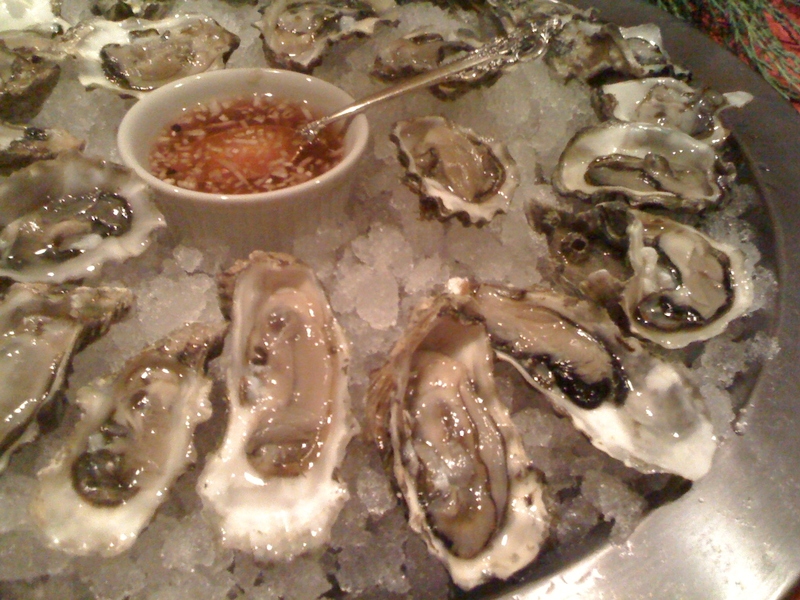 I’ve been busy catering parties for the past couple of weeks, so I thought that instead of posting a recipe today I would simply share some of the photographs I’ve taken at different events. 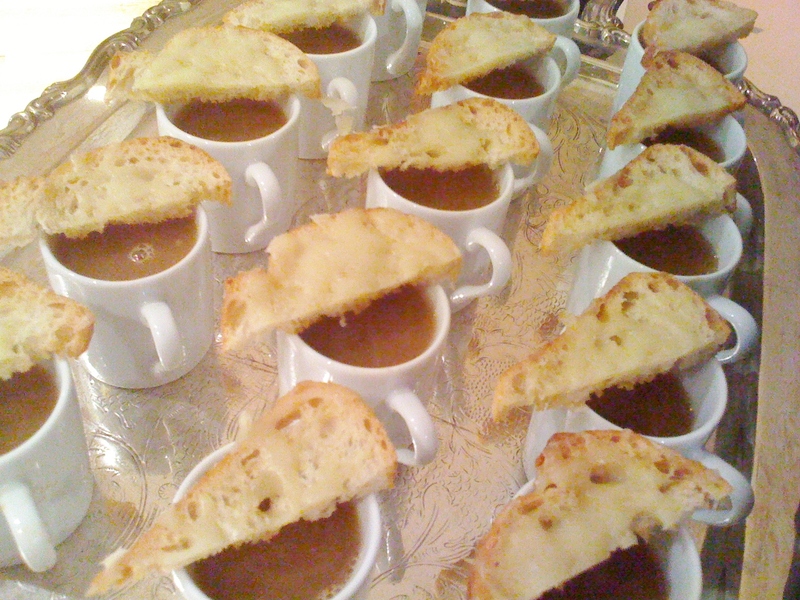 Demi French Onion Soup Cups with Gruyere Crostini were a warm starter. 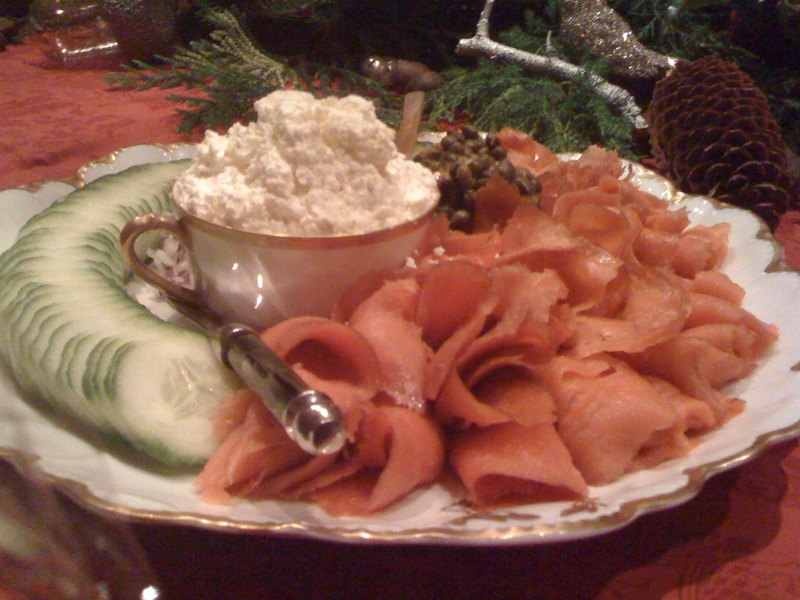 Lox with Cucumbers, Red Onions, Capers and Cream Cheese. 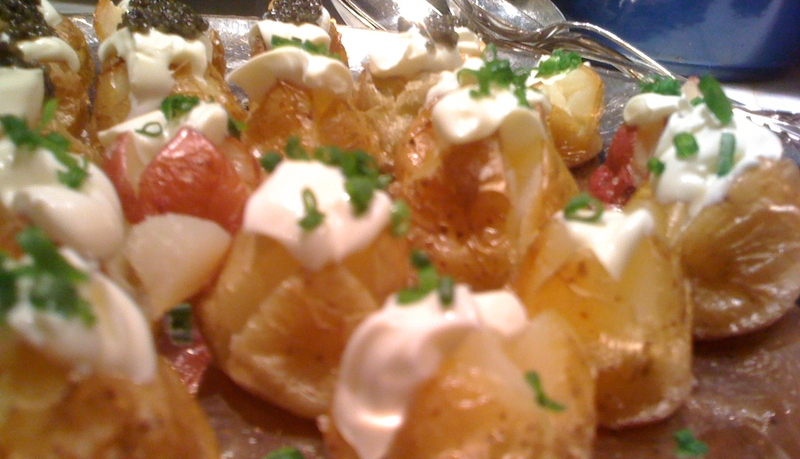 I also prepared a Holiday Ladies Luncheon for one of my favorite clients. 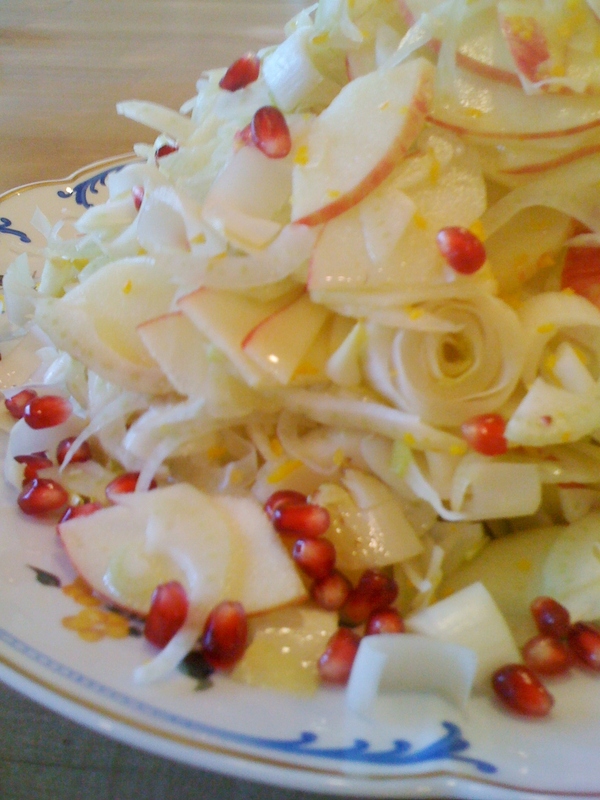 I served a variety of salads that afternoon, including this Apple Fennel Salad with Endive and Orange-Muscat Vinaigrette, which is a refreshing winter salad. 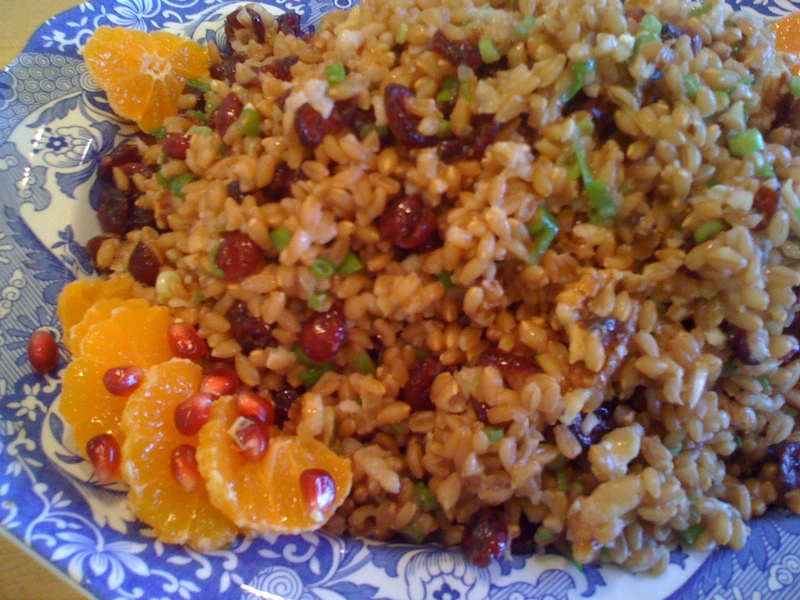 I also made a Farro Cranberry Salad. 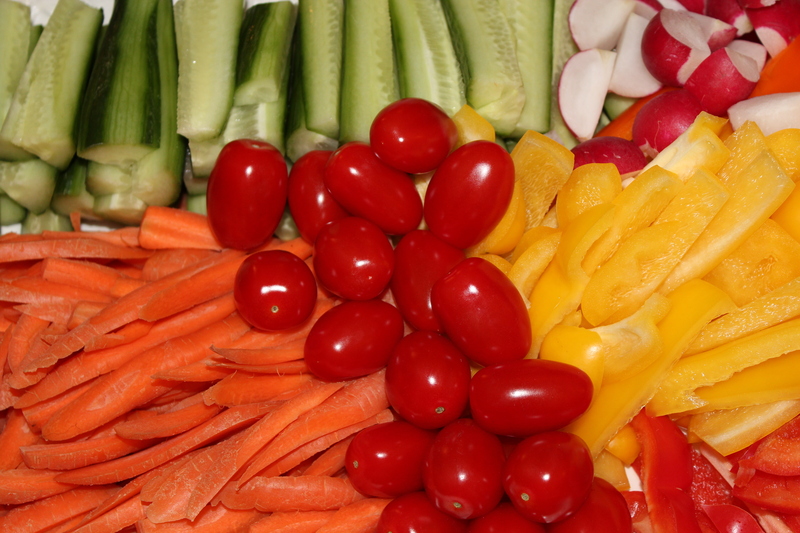 Crudites: Colorful sliced vegetables such as cucumber, bell peppers and carrots, with bright red cherry tomatoes make a festive display. 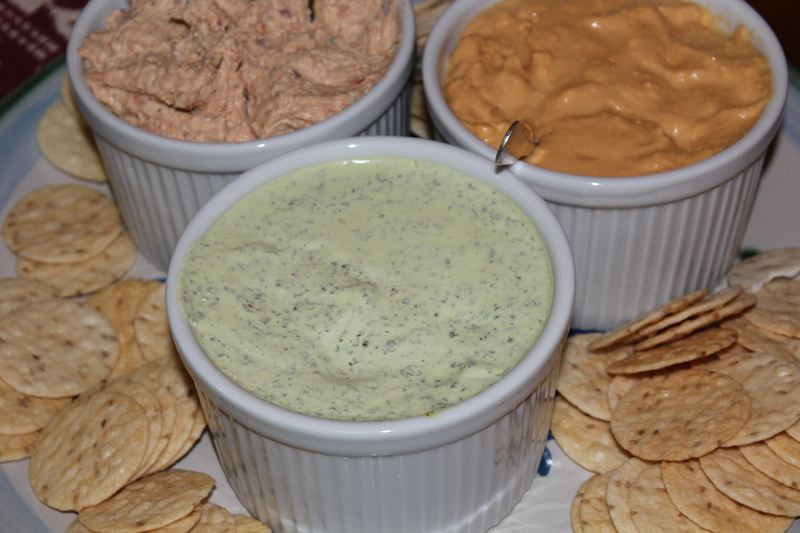 I also prepared three different spreads, that could be eaten with bread and crackers, or with the vegetables (clockwise from upper left): Smoked Salmon Spread; IPA Beer Cheese; and Green Goddess Dip. 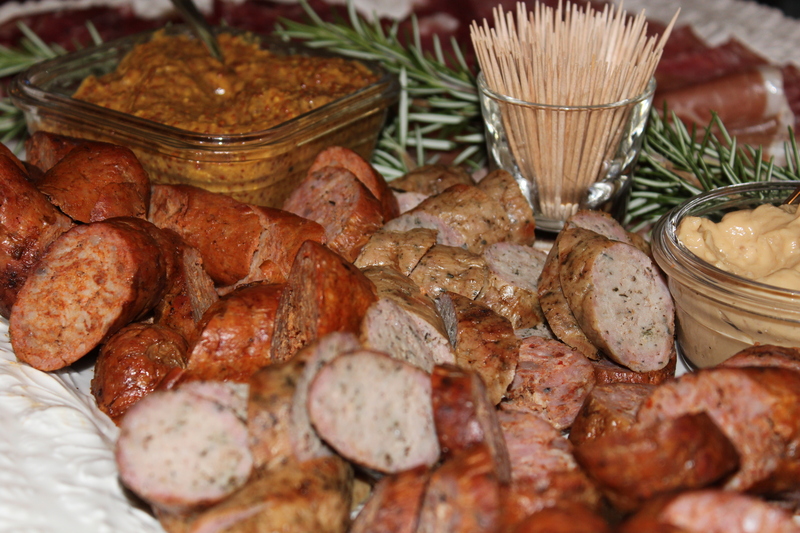 Chorizo, Andouille and Mild Italian Sausages and preserved meats, such as Prosciutto, with two different types of mustard make up this Charcuterie Platter. 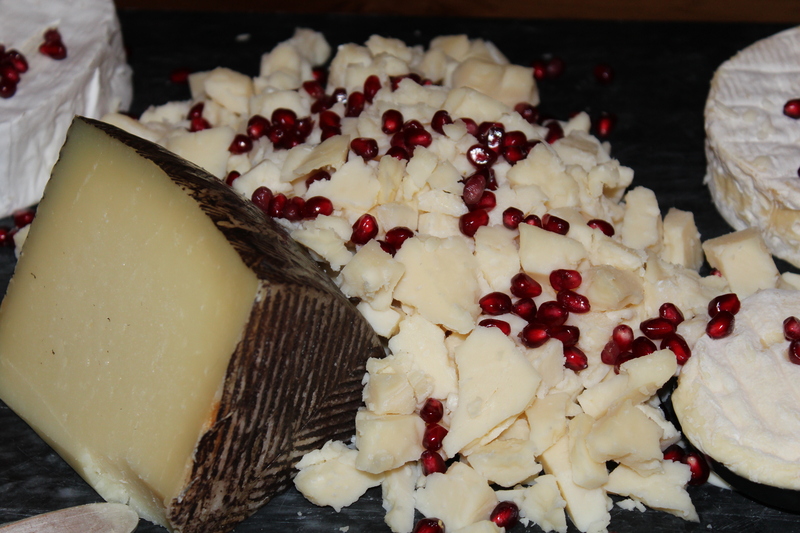 Cheeses included Manchego, Beecher’s Flagship, St. Marcellin and Gres de Champenois. 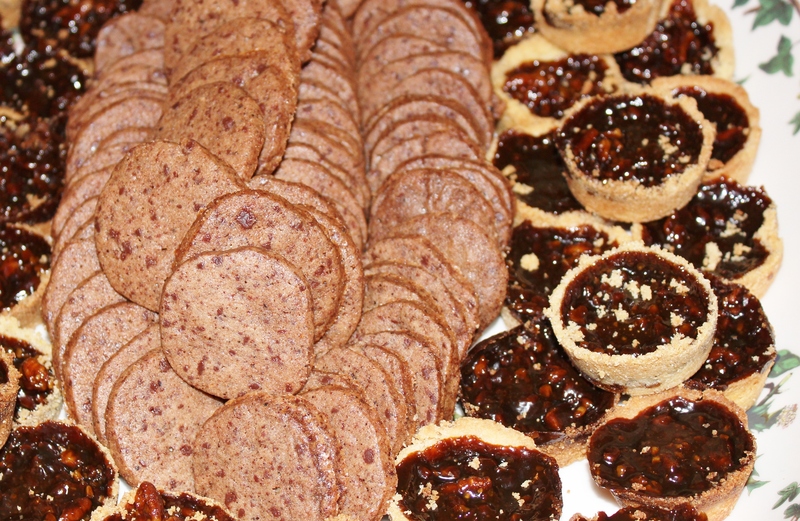 And for a little something sweet, I made Chocolate-Cappuccino Cookies and Molasses Pecan Mini Tarts. If any of these inspire you to throw a party of your own, just send me an email at thymewithsage@gmail.com and I’d be happy to help you plan a menu for up to 100 guests. 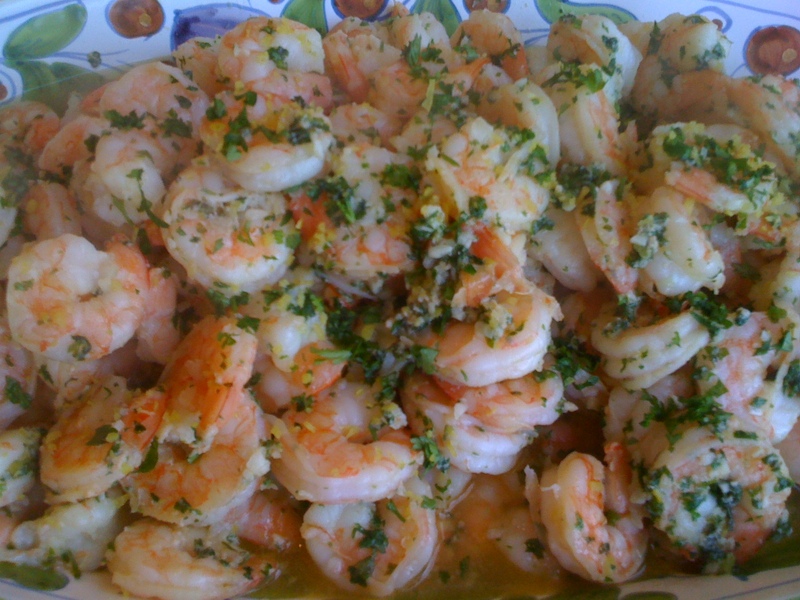 This entry was posted in Appetizers, Cooking advice, Salads, Sauces & Condiments, Soups and tagged Dessert, Photos, Salads, Starters. Bookmark the permalink. 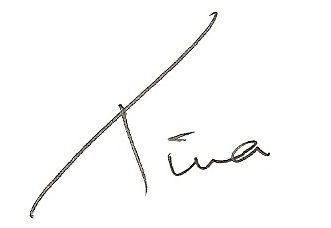 Tina, The photos are great and inspiring. I spent some time on the Kramer site and learned I am okay but not great at sharpening, I also did a bit of drooling over his Knives. So my sharpening skills have improved and my Christmal list just got a bit longer. 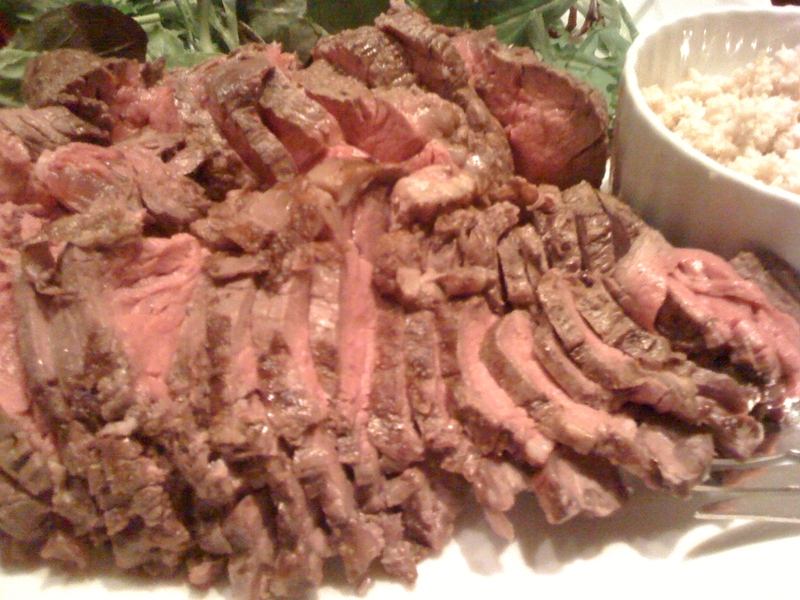 I have been elected to smoke a brisket on the Kamado at Station 22 for Christmas dinner at the Firehouse. It should be interesting. Merry Christmas!! !